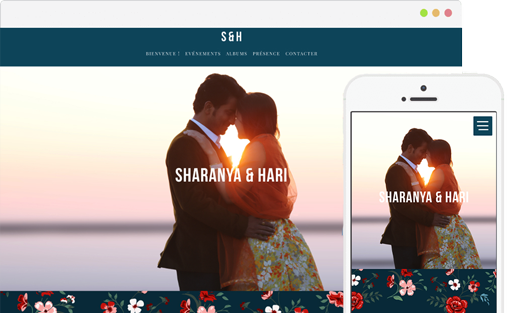 Your wedding events schedule, RSVPs, and more — share all of your details with guests through your Wedding Website! 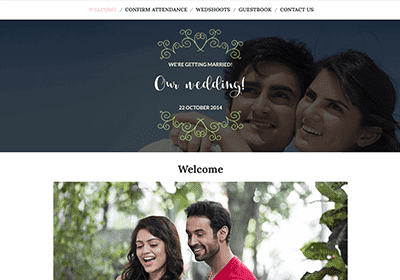 Add your events schedule, collect RSVPs, and more with our beautiful, free WeddingWire Wedding Websites. 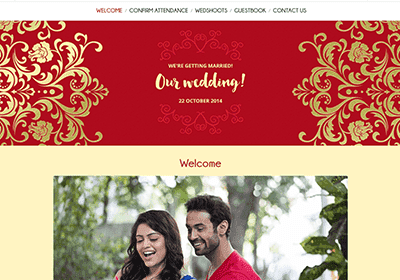 Create in minutes Select your design, add details, and personalise your website. All of your wedding details Inform guests about your wedding events schedule, locations, and more. Collect RSVPs Responses will automatically sync with your Guest List. 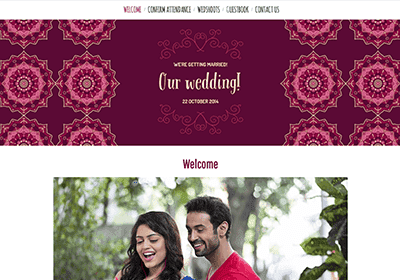 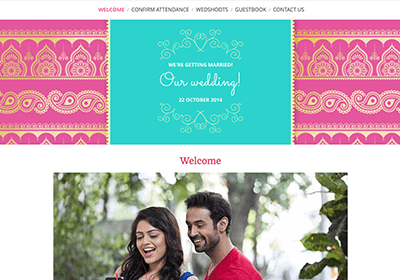 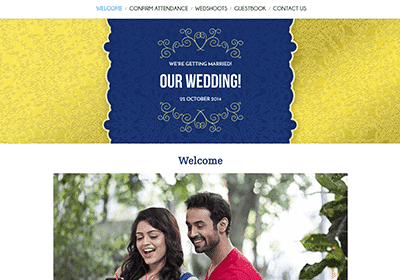 Plus, make it easy for your guests to remember with a customisable website domain. 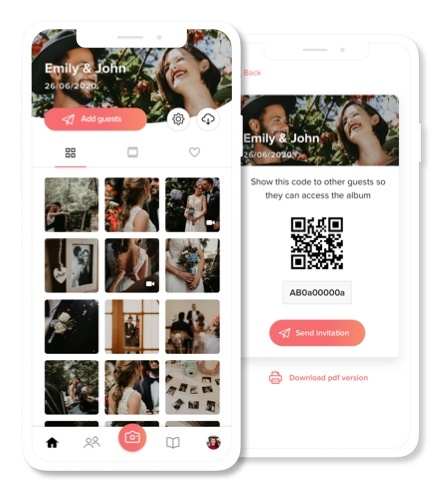 Get the WedShoots app to collect and download all of your guests' event photos in one convenient place.